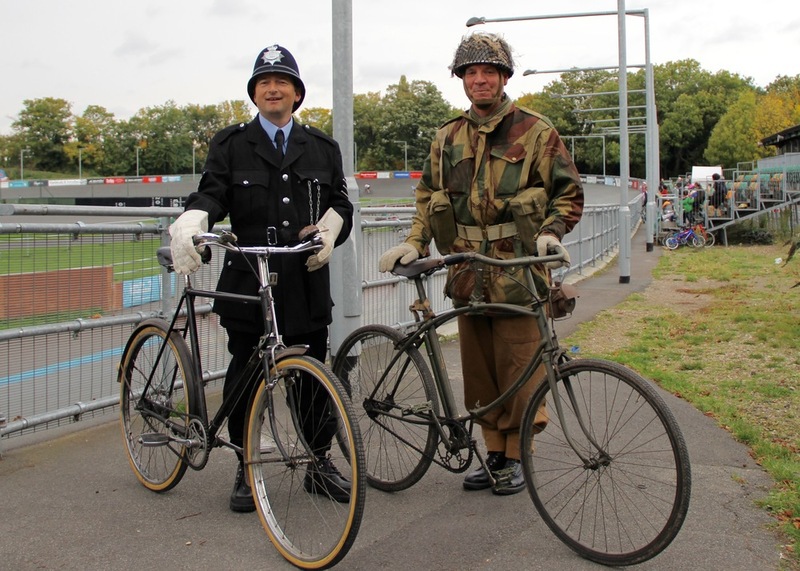 The Veteran-Cycle Club set off from the historic Herne Hill Velodrome for the Design Museum on Saturday to launch their Cycle Revolution exhibition which opens on November 18th. Over 60 riders braved the damp weather and brought along their much loved and cared for steeds. Paying tribute to the many varied bicycles and riders that have gone before, the Design Museum paired up with the Veteran-Cycle Club to launch the exhibition with a period cavalcade of bicycles that were ridden the five miles across south London to the museum. The Veteran-Cycle Club, founded in 1955 in Mitcham, South London is celebrating its 60 year anniversary this year and now has 2,500 members. This pair of Chopper bikes, owned by enthusiast Jake Bonnici, represented the spirit of cycling in the 1970s. 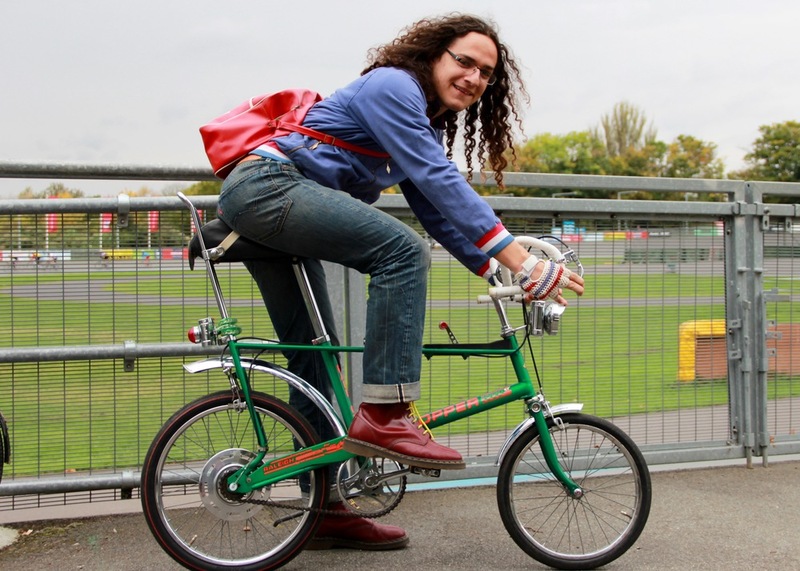 Jake owns every model and colour ever made; the green Spirit GT version features unusual drop handlebars and wasn't a great seller at the time, but is now worth over £1,000! Last one to the shops pays for the Twiglets! Andrew Pattle, from Suffolk, is the proud owner of this early 1920s tricycle manufactured by James. It has two speeds and can roll at a heady 15 mph! Andrew owns 4 trikes and 2 tandems in total all by British builder James. The ride featured dozens of riders in the appropriate period dress riding in historical order on bikes ranging from the earliest nineteenth-century Dandy Charger up to the very latest in lightweight machines. This Danish designed bike from the 1890s is a Pedersen, built in Gloucester. It was made in 8 sizes due to the unusual string saddle which was not adjustable. "You had to get just the right size bike," Club Secretary Andrew Millward told me, "It's pretty bouncy too!" Watch out, here come the rozzers. Up until the First World War, ladies sat at the front of a tandem because it was thought unseemly for a gentleman to turn his back on a lady. However, she wasn't allowed to take the reigns and do anything as challenging as steer the bike - the handlebars were coupled together so that the man could steer from the rear! This Boneshaker was the earliest example on display at Saturday's cavalcade. The seat is comfortable apparently, but the ride is hard on the hands and wrists because of the wooden handlebars.